Isn’t finding the perfect foundation hard? No matter how close you think you are, it always seems just out of reach. Then as soon as you do find one you adore and your skin needs change –perhaps its summer and you get a little oilier, perhaps you suddenly need more coverage – and you’re back to square one! I recently found a Holy Grail foundation in Urban Decay Naked Skin, which I still adore (read my glowing review of it here). 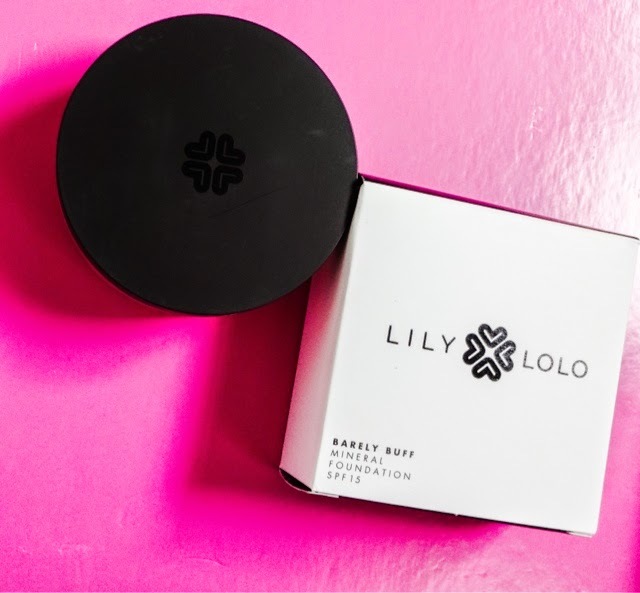 But although it works well for me, sometimes I like a different finish, and I’m always on the hunt for a bargain option when payday seems a little too far away- so I’ve just tried the Lily Lolo Mineral Foundation. I must admit I generally prefer to go high end for my bases, I think foundation really is one of those products where its important to spend a little more and you get what you pay for. The last time I picked up a drugstore foundation it all went wrong – read about that here. Would Lily Lolo change my mind? One of my favourite ‘everyday’ skin finishes is to combine a BB cream for its skin benefits, with a mineral powder on top. This seems to give a smooth –but not too powdery and dry – finish. 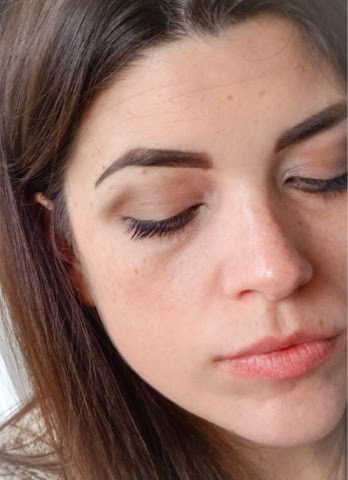 I took this ‘foundation cocktailing’ approach throughout summer using BareMinerals Original, which I still love. 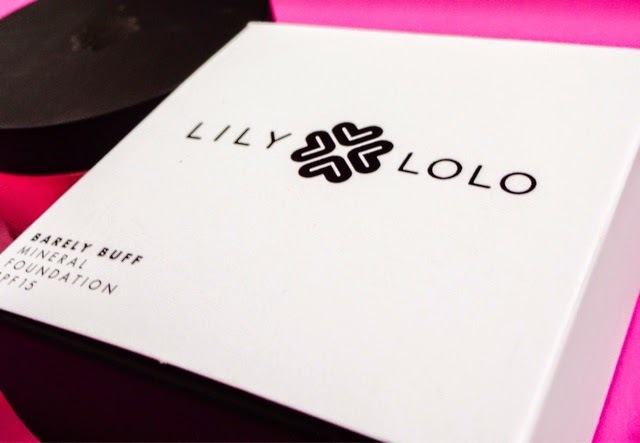 But Lily Lolo seemed to offer the same quality of product for a much lower price, and after sifting through the internet’s opinions on it, I decided to give it a go. 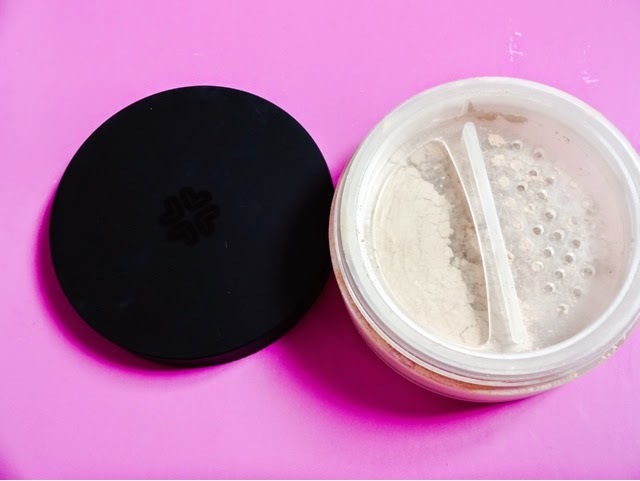 A mineral make-up company focused on a ‘flawless natural’ approach to beauty, they seemed to offer quality at an accessible price which is always a theme I can get on board with. 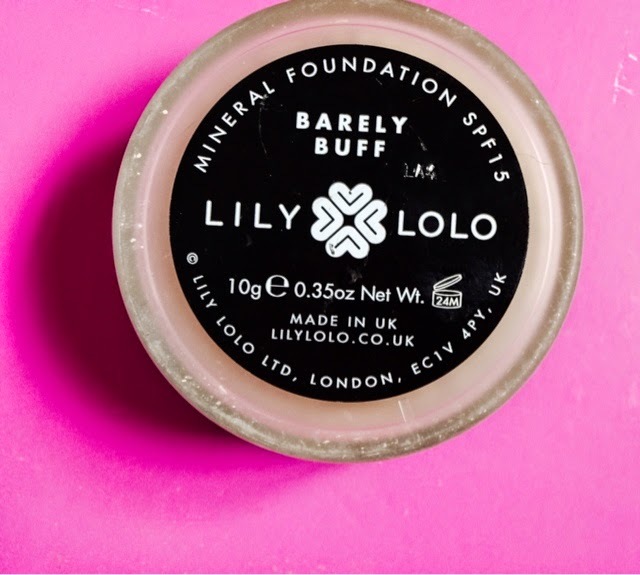 A tub of their mineral foundation is £13.49, about half the price of similar mineral powders from other companies. They’re a family-run, British brand, which I like. They are stocked at salons across the UK but none of the major chains yet, so you may have to place an order online, like I did. As well as the foundation, they offer a range of colour cosmetics – eyeshadows, blushes, lip products – mostly in quite neutral tones, so if that’s your thing, you could well be in luck. I thought the other products looked decent, but a bit uninspiring somehow so I wasn’t tempted to try anything else this time. The Lily Lolo website is nicely laid out and a dream to use, even on your phone. Delivery was also really quick and only took a couple of days from placing the order, to holding the product. I’m always quite stingy about shipping fees, but they were offering free delivery when I ordered, which was really the clincher when I was deliberating! Of course, the eternal problem with ordering foundations on the internet is – will the colour match your skin tone? I usually avoid ordering bases online for this very reason, unless I already know the shade that matches me. In this case, there is a shade guide on the website which is quite handy. It highlights warm and cool shades and also two ‘neutral’ shades that are supposed to match most skintones, if you really can’t decide. You can also order a small sample pot of any of the shades for just £1.00, if you’re really concerned about it, which I think is a great idea. Seeing as the foundation was relatively inexpensive, I didn’t see the need for it in my case, but if your skin tone changes a lot throughout the year/fake tanning cycle, it could be really useful. In the end, I went for the ‘warmer’ of the two neutral shades, which is called ‘in the buff’. The shade matched me well although it is a very warm tone and I think next time, I’d go for the lighter of the two neutral options, which I think is called “Blondie”, just because I prefer my bases to be half a shade too light than too dark. Having seen Lily Lolo stuff on the t’interweb before, I know they used to just sell the product in a regular, open pot, which came with a white lid with the name written on in a swirly font. I thought that looked quite cheap and didn’t sell the brand to me very well. But recently, they’ve reformatted to a sleek black lid and the open pot now has a lockable dispenser. This is vital with loose powders or you run the very real risk of losing half the product all over your make-up bag! I much prefer the look of the new pot, although in construction its very flimsy and feels cheap – but I’d much rather they spend my money on a great product than the pot it comes in, so I can easily live with that if a product delivers. Application is easy – simply twist the lock to open the vents in the pot, and pour out some of the product into the lid. Using a brush that’s fluffy but densely packed will give you the best results – a kabuki or a buffing brush is ideal. Then you just do that ‘swirl and tap’’ – coating the brush , and then tapping off the excess. A little goes a long way! Then use tight circular motions to buff the product into the skin. Your reward is an even, flawless finish. Its very quick and very neat - you could probably even put it on without a mirror. As soon as you tip the powder out its very finely milled and feels silky on the skin. Its such a delight to wear and for anyone that really hates the feel of thick make-up on their skin, you won’t even know this is there from the feel. Coverage wise, I would describe this as medium to full – its very buildable without looking heavy. 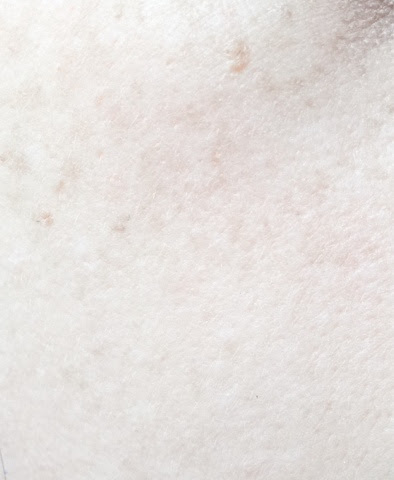 I happened to have a few blemishes when I first tested this out and I noticed it covered them straight away, while still somehow managing to let the texture of my skin show through so it didn’t look mask-like. This was impressive – it was sort of like somehow had used the photoshop blur tool on my skin, which is pretty much exactly what I want from a foundation. Durability wise this makes it through a working day for me, which is what I demand of my foundation! The coverage stayed put and only my nose needed a light touch up at the end of the day, which is good going. Being a mineral foundation, its good for your skin as well, and it has SPF 15 for a little bit of protection. Seriously impressed with the performance of this little beauty. My reservations with powder foundations are always to do with coverage and durability – it just doesn’t seem like they’re built to last! But this goes great guns and plenty comes off on my cleansing pads at night, so I know its staying put. This foundation actually seems to have a magical ability to look better as the day wears on. At the start, its quite powdery, but it seems to melt into the skin and get dewier after a while, which looks even nicer. It’s a gorgeous everyday foundation, and because the coverage is so adjustable, its also good for nights out, so a bit of an all rounder. For just £13.49 this product is such a winner, I’m really glad I tried it and I’ll definitely be repurchasing. The quality is impressive for the price – get your order in now! Do you like mineral foundations? What brands have you tried? Would you order from Lily Lolo? I love mineral foundation, they are so easy to use and create a nice everyday finish. I have been using the Bare Mineral one at the moment but I am definitely going to check out this one. Hello, what shade are you in MAC? I'm dying to order some Lily Lolo but am not sure what shade(s) to purchase! i would totally not rely on the MAC vs LL shades. I tried to email their (wonderful) customer support , but would have got the wrong shade shall i not have anyway ordered the small pots in different colors.